New regulations from the Government have come into place in order to reduce the UK’s emissions. This includes key regulations and legislation to reduce ammonia emissions from the agricultural sector. The agricultural sector is the world’s largest source of non-CO2 greenhouse gas emissions. The Clean Air Strategy was announced on 14th January, highlighting how farmers can address the issue of ammonia emissions. Farming is responsible for 88% of UK emissions of ammonia gas. This is dangerous and damaging to the environment. Ammonia gas combines with other pollutants and forms fine Particulate Matter pollution, which can be harmful to human health. With air pollution killing 7 million people globally every year, according to the World Health Organisation, reducing agriculture’s impact is very important. Muck-spreading will effectively be banned under the government plans to reduce air pollution. There are a number of different farming practices using more modern methods that create less diffusion by targeting manure to the areas where it is needed. AIS have a variety of low-emission spreading equipment including our range of injectors. Injecting slurry can also provide crop nutrients and replace the need for inorganic fertilisers. This ability is enhanced by our Nutri Flow system which allows real-time soil analysis in conjunction with low-emission application. Our top of the range Rotomax machine is the perfect answer in response to these new regulations. 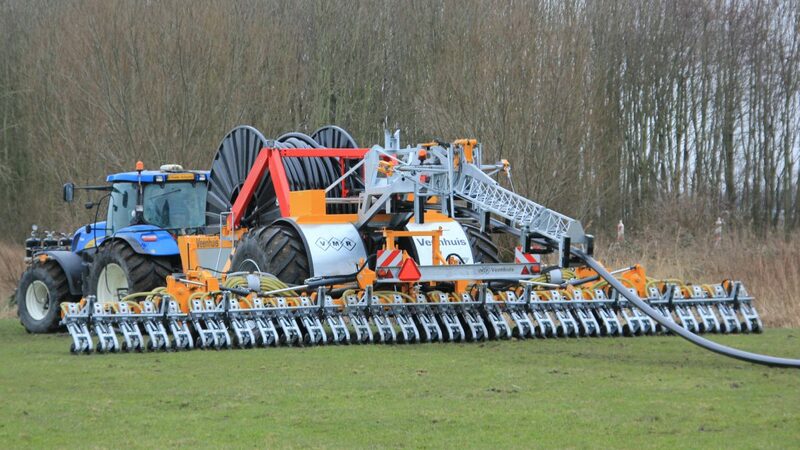 The Rotomax is compatible with the Nutri Flow therefore can deliver the optimum slurry to your soil with the injector for low-emission application plus the unique umbilical reel system respects your soil. The government has offered support to farmers in order to become compliant with these new regulations. Funding will be provided through the Countryside Productivity Scheme to help farmers purchase manure management equipment. This scheme will run again in 2019 and AIS’ solutions are eligible for this funding. AIS are offering a number of different solutions that enable you to become compliant. Whether you want to upgrade you tankers and existing systems with injectors and analysis or looking for a complete machine that’ll solve all of your challenges, we have the solution. Get in touch with us here to discuss what’s the best choice for you.